Kind of an add mash-up of high-tech and a nature walk of sorts. 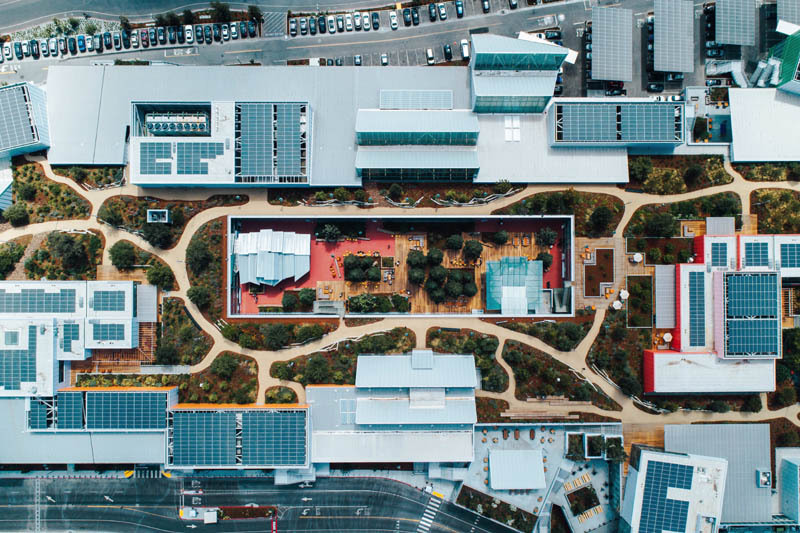 Designed by Frank Gehry and built in less than 18 months, MPK 21 is a highly sustainable building with a 3.6-acre rooftop garden featuring over 200 trees and a half-mile meandering pathway. We also brought the outdoors into the office space: The Town Square is a sheltered green space with 40-foot-tall redwood trees, and The Bowl is an amphitheater-style courtyard that connects MPK 21 with another Gehry-designed building, MPK 20.